‘The Good Night’ is a historical detective story set in medieval Wales. It follows a straightforward recipe: two detectives, one male and one female, in love with one another and working together to resolve a murder, against the backdrop of north Wales, which the author clearly knows like the back if her hand. The action takes place in the twelfth century, when the Danes were a constant threat, especially the Dublin Danes across the Irish Sea, plus the more sophisticated Normans to the East in England. Owain Gwynedd was King of Wales, but suffering frequent bad-tempered challenges from his brother, Cadwalladr. This period and setting will be familiar in part to readers of Ellis Peters’ Cadfael stories (although Cadfael was based in Shrewsbury Abbey). Even though the word count only totalled 37,000, the plot was long and complicated, with many twists and sub-plots, especially at the end. The book might have finished in Dublin at 80%, but continued in the same vein, obliging the protagonists to rescue the damsel-in-distress a second time. The storyline was enhanced by Sarah’s intense and wide-ranging knowledge of the machinations of Welsh princes, mind sets and world views, and of how everyday life was lived during this period. The author’s excellent historical perspective led her to include several scenes where the ‘goodies’, as well as the ‘baddies’, murdered people without a second thought, but this is what you did in medieval times, especially if your little kingdom was squeezed between the Vikings and the Normans. There weren’t many concerned and hand-wringing liberals around in those days! As Sarah included many real-life historical figures into the story, every character (apart from the Danes) had an authentic Welsh name, which made working out who was who awkward, despite the prologue telling us how Welsh names are pronounced, and especially as the author took it for granted that the reader would remember everyone at first mention. This problem might have been alleviated if more of the fictional personages had had more familiar Welsh names like ‘Gareth’ and ‘Gwen’, the two main detectives. Also, in my opinion, there were too many characters generally, and as a result it was difficult to develop all of them properly. Hot tempered and touchy Owain Gwynedd came out well, as did his sons, Rhun and Hywell, but I really didn’t get what was driving the villain, Cadwalladr; nor did Owain Gwynedd, methinks. Also some potentially interesting females – like Cristina (Owain’s mistress) and Alice (Cadwalladr’s wife) – needed developing further. The Webster English in which this was written was at first disconcerting, and seemed out of keeping with the twelfth century, but I then learned that the author lived in the United States – so she is forgiven! Sarah wrote – refreshingly – outside ‘The Rules’, using brackets and adverbs frequently and many, many reps. However, one incorrect use of it’s stuck out like a sore thumb. Self-published authors do not get the benefit of non experienced, professional proofreader! Although it read as a complete story in itself, ‘The Good Knight’ is the second of five ‘Gareth and Gwen’ novels – for more details, visit Sarah’s website at http://www.sarahwoodbury.com. Sarah has also written twelve other historical novels, with two touching upon the paranormal (none of which I have read). Would it recommend this? Yes, for a good read, based upon sound historical research. A footnote: very sad to hear of the untimely death of my fellow Leicester-ian Sue Townsend. No one could write about the mundane as she did and make you laugh as loudly. She will be sadly missed. Another footnote: as I’m currently on holiday in Sicily at the moment and I don’t have a travel blog (although I keep thinking of building one), I thought I would end with a photo. 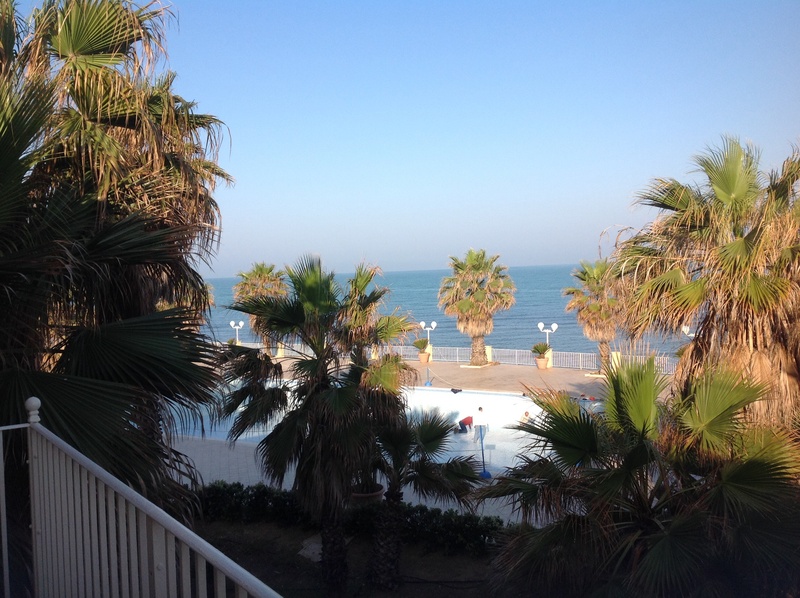 This entry was posted in Woodbury, Sarah and tagged Sarah woodbury, Sicily, Sue townsend, The Good Knight, Wales on 12/04/2014 by Rosemary Reader and Writer.